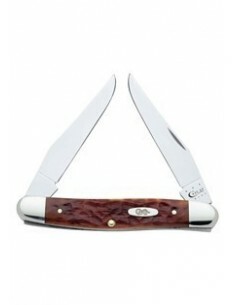 Folding knives There are 20 products. 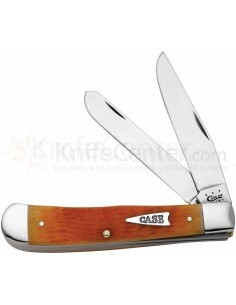 The knife has excellent balance, very quick and easy to open. The handle is covered against slipping. In the handle is integrated blade for cutting the belt or rope, and a spike to break the glass. The shape of the handle is pineapple. On the back, you have belt clips so you can hang it at the ideal spot for you for easy and fast access. It has a safety belt cutter and a crystal breaker at the edge of the handle for the actual emergency situations. 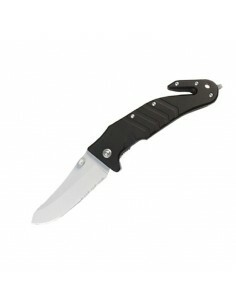 The knife has a slightly curved Stainless Steel blade with a stone washed look. The elaborately designed handle has a thumb rest and therefore lays very good in the hand. 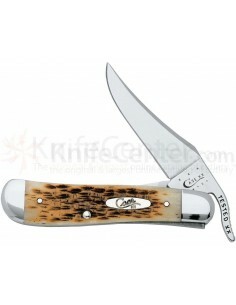 The special feature of this knife is the emblem of the Fire Department on the handle. Our Standard Jigged Chestnut Bone handles combine utility with timeless appeal. This answer specifically addresses Tru-SharpTM surgical steel (SS), Chrome Vanadium (CV), BG42, ATS-34 and 154-CM steel. Small practical shift knife in digital pattern. Sturm knife suitable for all purposes. The 195 mm long blade was made of stainless steel. The ergonomic handle is made of aluminum.